Nokia 8.1 is expected to debut at HMD Global’s December 5 event. But days ahead of its formal debut, the smartphone may just have been teased in a Red colour option. The Finnish company has teased the new model that is so far speculated to be the global variant of the Nokia X7. The handset features a 6.18-inch full-HD+ display with an 18.7:9 aspect ratio and an octa-core Qualcomm Snapdragon 710 SoC. It also has a dual rear camera setup as well as a 20-megapixel selfie camera with an f/2.0 aperture. The official Nokia Mobile India Twitter account posted a teaser video to suggest the launch of the Nokia 8.1. The nine-second-long video doesn’t show the handset, but it highlights an image of red roses and says, “The picture’s about to get rosy with an epic viewing experience. 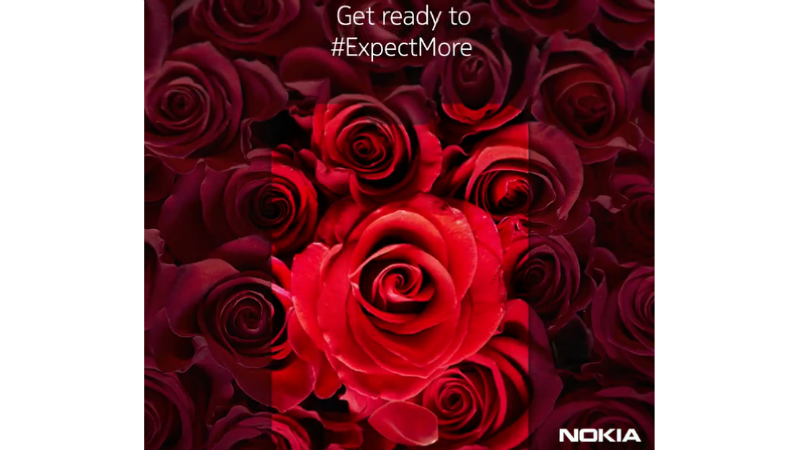 Get ready to #ExpectMore [sic].” It also outlines the silhouette of a model that could be the Nokia 8.1. Folks at MySmartPrice believe that the latest teaser from the Nokia Mobile India Twitter account might suggest the Lush Red colour variant of the Nokia 8.1. The India variant of the Nokia 8.1 is being expected to have a slightly altered Night Red option. HMD Global is expected to launch the Nokia 8.1 at an event in Dubai on December 5, alongside the Nokia 2.1 Plus and long anticipated Nokia 9. The new model is speculated as the global variant of the Nokia X7 that was launched in China last month. It was also last month spotted on Geekbench with specifications similar to the Nokia X7. However, the handset appeared with Android 9.0 Pie. Earlier this month, a report citing industry sources claimed that the Nokia 8.1 with 6GB RAM/ 128GB storage option will come with a price tag of Rs. 23,999 in India. Notably, the Nokia X7 was launched in China at a price of CNY 1,699 (roughly Rs. 17,300) for the base 4GB RAM/ 64GB storage variant, while its 6GB RAM/ 64GB storage variant debuted at CNY 1,999 (roughly Rs. 20,300) and CNY 2,499 (roughly Rs. 25,400) for the top-end 6GB RAM/ 128GB storage model. If the Nokia 8.1 will arrive as the global variant of the Nokia X7, the specifications of both models will be identical. The Nokia 8.1 is expected to run Android Pie out-of-the-box and feature a 6.18-inch full-HD+ display with an 18.7:9 aspect ratio and 2.5D curved glass. The smartphone is also likely to have the octa-core Qualcomm Snapdragon 710 SoC, coupled with 4GB/ 6GB RAM and 64GB/ 128GB of internal storage along with microSD card support (up to 400GB). On the imaging front, the Nokia 8.1 is expected to sport a dual rear camera setup that will include a 12-megapixel primary sensor and a 13-megapixel secondary sensor. The smartphone is also expected to have a 20-megapixel selfie camera with an f/2.0 aperture. Lastly, it could have a 3,500mAh battery with support for 18W fast charging.